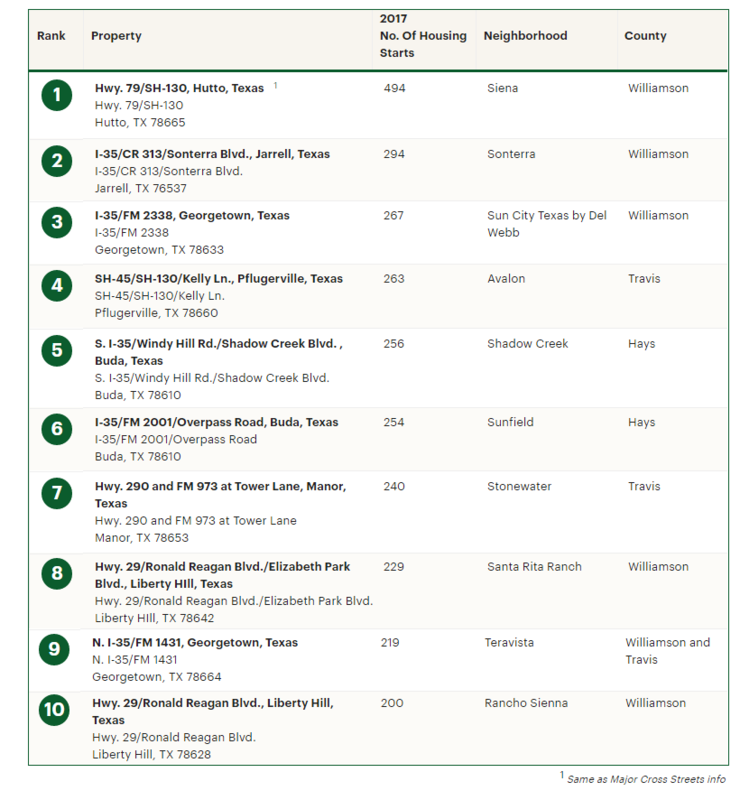 The fastest growing ​residential developments in the Austin area are ranked by the number of housing starts in 2017 reports Metrostudy. Information encompasses the five-county Austin area including Travis, Williamson, Hays, Bastrop and Caldwell counties. Data track one year of activity from 1Q 2017-4Q 2017.